LG has hopped on the Google TV bandwagon. LG will show off a smart TV loaded with Google's Android-based telly interface at next week's Consumer Electronics Show (CES). The set will do passive 3D, with 2D-to-3D conversion on board. 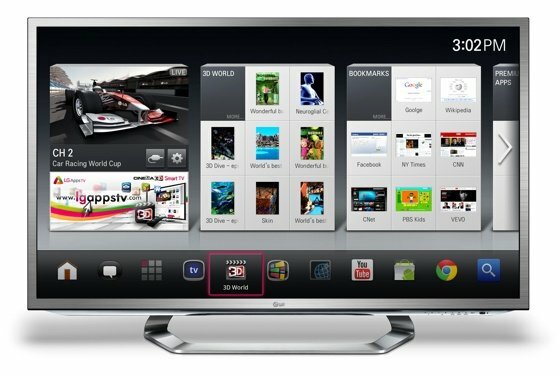 LG said it was not dropping its own IPTV UI, which will be available on more than 60 per cent of its tellies this year. Well, it's good to have a back up plan. Launched in 2010, Google TV has still to prove itself in the market. In November 2011, Logitech CEO Guerrino De Luca admitted the company had partnered with Google too early, implying the mouse makers Revue set-top box had been essentially rushed to market. "Google TV is a great concept, Google TV has the potential to completely disrupt living room," De Luca told investors. "The integration of television in Internet is inevitable. But the idea that it would happen overnight in Christmas 2010 was very misguided and that also cost us dearly."